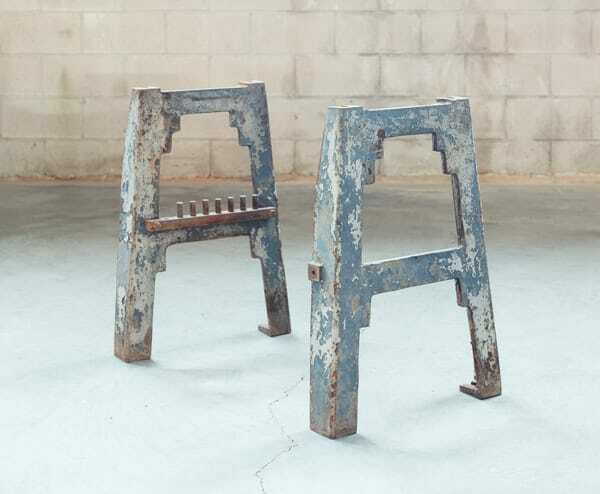 Early 20th century cast iron industrial machine base. Because the notched silhouette reminds us of Southwestern architecture, we’ve dubbed this style the O’Keeffe. 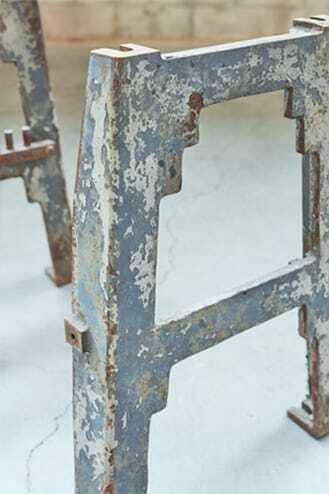 Vestiges of paint remain on the legs, adding to their weathered charm. Pair it with a live edge slab to create a custom table.